Hashima is a small island near Nagasaki. It was first populated in 1887, when a coal mining facility started its business there. Mitsubishi, which bought the island in 1890 tried to retrieve coal from the bottom of the sea. In 1916 Japanâ€™s first large concrete building was built for those coal-miners. During World War II Koreans had to mine coal here and many died. In 1959 Hashima was the most densely populated place on earth. 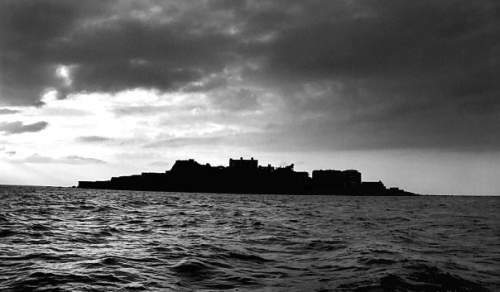 The mine was closed in 1974 and Hashima is a Ghost Island now. Its Japanese name Gunkan-jima means “Battleship Island”, because thatâ€™s just how the island looks like. Visiting Gunkanjima is prohibited right now, but this may change in April. 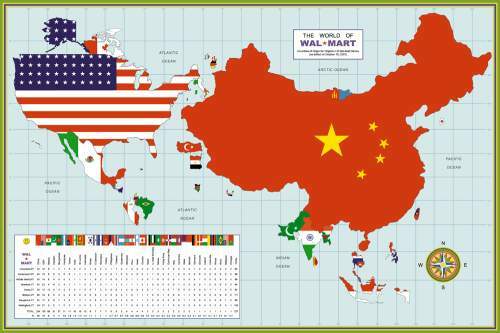 A world map redrawn to show where Walmart gets their products. What Will Happen In the Next 100 Years? 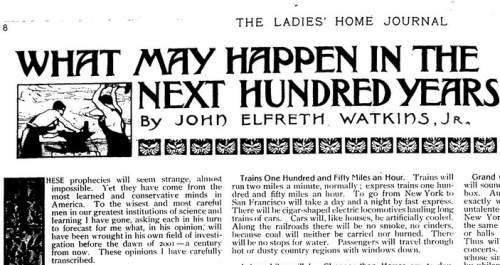 Predictions from an issue of Ladies Home Journal from 1900. They are the minor-league pundits — political consultants, professors, activists, actors, journalists, bloggers and opinionated civilians — and they’re using 21st-century stunts to troll for airtime. Some try to break out of the blogs by repeating particular phrases in their written rants, designed to pop their sites up when TV bookers search for keywords online. Others are buying air time on AM and Internet radio stations to practice their punditry. And many are turning to media advisers or partisan training programs, where they learn new rules of engagement, such as how to use food to bribe producers. The ploys can work, as networks like CNN regularly survey the field, looking for new contributors.